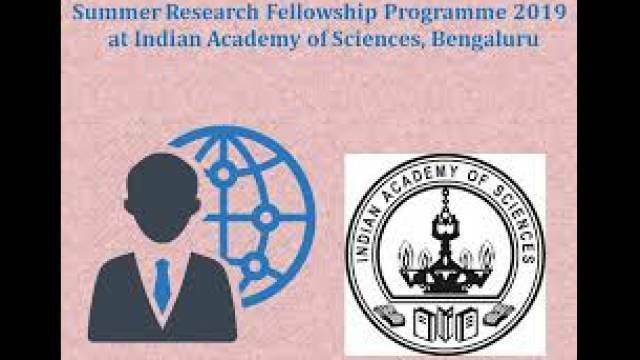 The Indian Institute of Science (IISc) & Indian Academy of Sciences (IAS), Bangalore, in a joint initiative, invited Summer Fellowship applications in Science and Engineering-2019, for Scheduled Caste and Scheduled Tribe students. The IISc Summer Fellowship Program 2019 online application is available on the official website, iisc.ac.in. The last date for submitting the application is April 30, 2019. The IISc Summer Fellowship fellowship will be commenced in June and end in July. The Interested and Eligible candidates are advised to visit the official website and check the detailed notification. The selected candidates will get the opportunity to work with the faculty members of IISc. This will provide them a chance to learn various techniques used in research. As per the official notice, "Those who are in the first year MSc. and third year BE/B.Tech will be given preference." Those who have already undergone the Summer Fellowship in the previous year/s OR already pursuing higher education are not eligible. The IISc will provide financial support to selected candidates as lodging facilities (sharing) at IISc, students will get fellowship of Rs. 5,000 and Rs. 1,500 worth book grant. Click on the link reads, "Indian Institute of Science & Indian Academy of Sciences..."
Fellowship opportunity is currently open for all SC / ST students in the third or fourth year of BC / B.Tech or equivalent degree during the academic year 2018-19. Apart from this, students studying in MSc. program in Biological, Physical, Chemical and Mathematical Sciences can also apply.